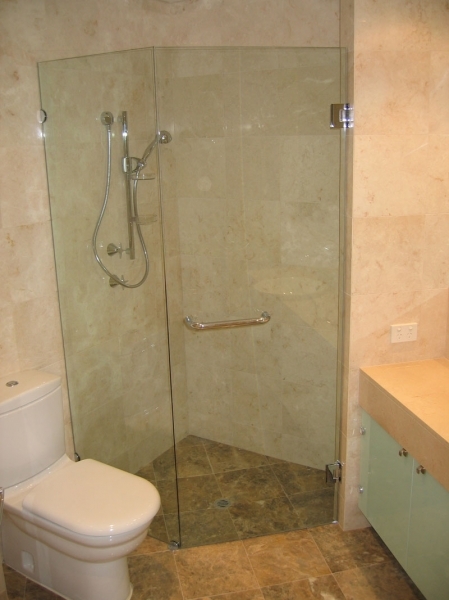 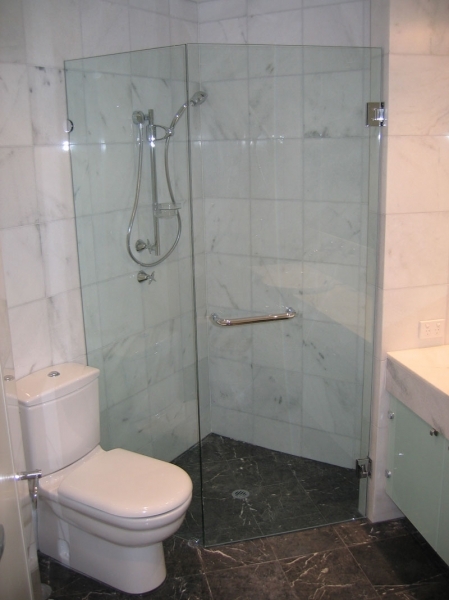 With the strength and safety of 10mm toughened glass, no frame is required around the edge of the glass. 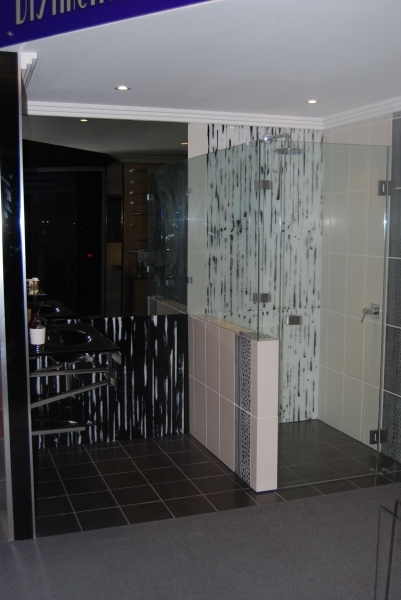 The density of 10mm glass not only gives your bathroom a larger appearance, but also allows for a sleeker more modern look in your bathroom. 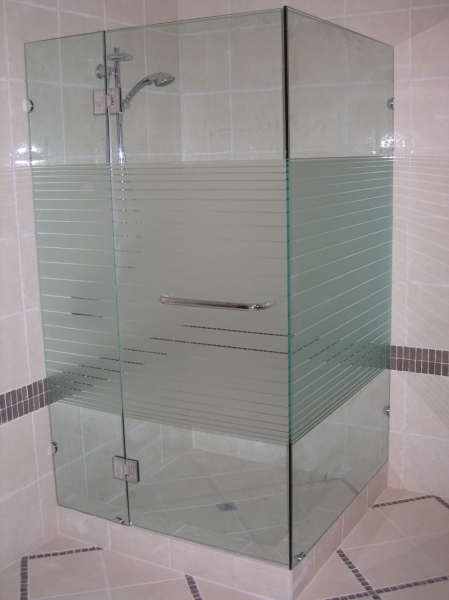 The purpose built nature of each Frameless Series Shower Screen enables the easy accommodation of shaped panels. 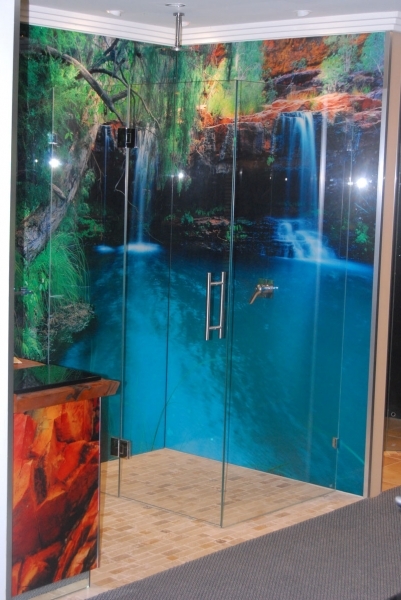 10mm thick Category A Toughened Safety Glass is used for durability and peace of mind, with the option of clear, tinted, frosted or patterned glass to further customise your individual design. 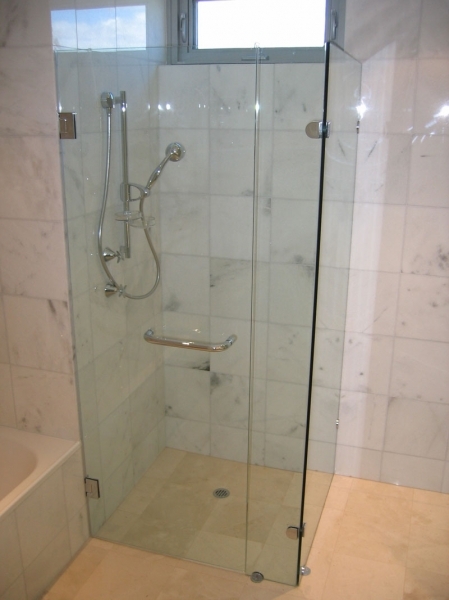 Our hinges are high quality precision fittings made from solid brass forgings. 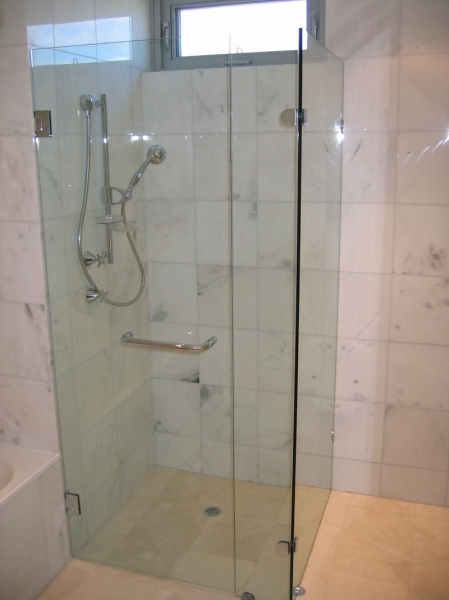 A unique spring tensioning system allows the door to be opened both in and out and provides a positive return to the closed position from approximately 30 degrees. 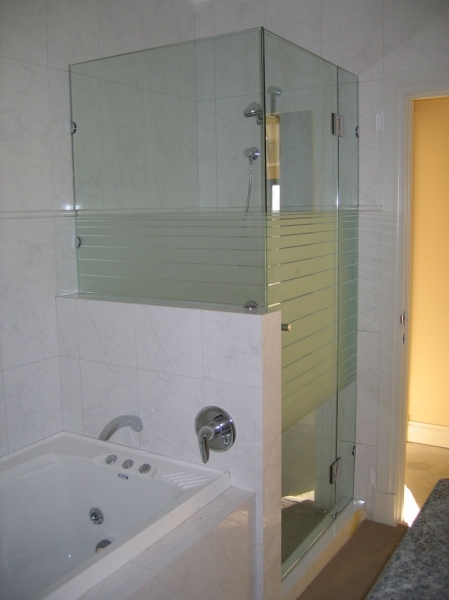 Design options enable the door to be hung from the wall or from an adjoining glass panel at 90, 135 or 180 degrees.